Bio Notes: Walter Wood Robertson (who appears incorrectly as Walter Wybrown Robertson in the 'Builder' and Building News obituaries) was born in Elie, Fife, in 1845, the son of James Robertson, cloth weaver and Ann Nelson. In 1858 he was articled to John Chesser, then in the Edinburgh City Superintendent's Office, probably the origin of the 'Scotsman' report that he was articled to Robert Morham. He studied at the Edinburgh School of Art. At the end of his apprenticeship in 1863 he spent three months gaining wider experience in the office of Peddie & Kinnear, with whom Chesser was then closely associated in various property transactions, following which he returned to Chesser as assistant for a further two years. Thereafter he spent two years with Brown & Wardrop before moving to Manchester as draughtsman first with J Holden & Son for two years, and then for a further two with Speakman & Charlesworth, during which period he studied at Owens College. He moved to London in 1871 and joined H M Office of Works as technical assistant to Sir Douglas Galton, H M Director of Works. After that post was abolished he remained in the same office as assistant to Sir John Taylor, who appointed him principal architect and surveyor for Scotland on Robert Matheson's death in 1877. Robertson married Alice Nesbit Alcorne. They had four sons and two daughters. Alan Keith, the youngest son, born 1881, became an architect. Robertson senior took a prominent part in the work of the London Architectural Association during his stay in that city and was vice-president from 1876-77. In 1883 Robertson was admitted to the Merchant Company of which he was successively assistant treasurer, treasurer, and in 1895-97 master. He was also a prominent mason, being for a time RWM of the Lodge of Edinburgh (St Mary's Chapel) No 1. He also served a term as President of the Edinburgh Architectural Association. Robertson's most prominent works were the large post offices built at Perth, Greenock and Dundee in 1897-98. Although their free northern European Renaissance manner reflected Sir Henry Tanner's Birmingham Post Office of a decade earlier and were described as French at the time, the details were more Flemish and seem to have been influenced by the work of the Antwerp City Architect Pieter Jan Auguste Dens in the earlier 1880s. Although his architecture was somewhat conservative for its date, Robertson commanded considerable respect in the profession. He was a man of immense acumen whose advice was widely sought in valuations and arbitrations. In 1904 he had a slight paralytic stroke and had to retire from his post as principal architect, commencing practice with his son Alan Keith Robertson and becoming consulting architect to the Scottish Education Department. At the end of October 1906 he had a major stroke from which he never recovered. Only then did he seek admission to the RIBA, perhaps for his son rather than himself, his proposers being Sir Henry Tanner, Sir John Taylor and Hippolyte Jean Blanc. Robertson died at his home, Wardie Bank, Trinity, Leith on 23 April 1907, as a result of his stroke six months and twenty-two days earlier. His practice was continued by his son Alan Keith Robertson. We regret to announce the death of Mr Walter Wybrow Robertson, lately architect to H.M. Office of Works, Parliament-square, Edinburgh, and a former Master of the Edinburgh Merchant Company. For more than twenty years Mr. Robertson, who died on Tuesday at the age of 61 years, was principal architect under H.M. Board of Works in Scotland, and although he retired from that office three years ago owing to a slight paralytic stroke, he did some professional work since his retirement, and at the time of his death was consulting architect to the Scottish Education Department. About the end of October last he had another paralytic stroke, from which he never in any large measure recovered. He resided at Wardie Bank, Boswell-road, Trinity, where his death took place. Mr. Robertson received his early professional training under the late Mr Morham, city architect, Edinburgh, and afterwards he had professional experience with the firm of Messrs Holden and Sons, Manchester. His connection with HM. Office of Works dates from 1871. In that year he became technical assistant to the late Sir Douglas Galton, who then occupied a post that has since been abolished—that of H.M. Director of Works. Subsequently Mr. Robertson acted as assistant to Sir John Taylor, one of the architects of the Office of Works. While occupying these posts his work was mainly in London. His services and ability, however, were soon further recognised by his being appointed head of H.M. Office of Works in Scotland. During his tenure of this office he superintended many important Government buildings in different parts of Scotland, including the erection of Glasgow General Post Office, Glasgow Inland Revenue Office, the Blackford Hill Observatory, Edinburgh: new Post Offices at Dundee, Inverness, Perth, and other towns: the extension of the Royal Scottish Museum, Edinburgh (then allied the Industrial Museum): and the extension and alteration of the Register House, Edinburgh. About the end of March, 1904, after he had had a paralytic stroke, he gave up his post under the Board of Works, and was succeeded by Mr W T Oldrieve, FRIBA. He was a member, and at one time President of Edinburgh Architectural Association, and in earlier years took a prominent part in the work of the London Architectural Association, of which he was vice-president in 1876-77. In the work of some of the corporate bodies in Edinburgh he took a considerable interest. Joining the Merchant Company in 1883, he passed successively through the offices of assistant and treasurer, and in 1895 was appointed Master of the company, an office which he filled with acceptance for the usual term of two years. 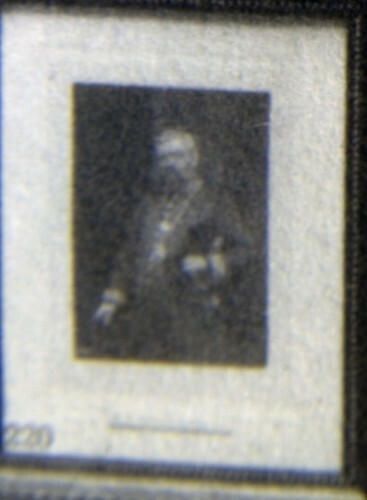 At the close of his term as Master he was presented with his portrait in oil, which has now a place on the walls of the offices of the company in Hanover-street. He was at one time R.W.M. of the Lodge of Edinburgh (St. Mary's Chapel), No. 1, which is one of the oldest lodges in the United Kingdom. Mr. Robertson is survived by a widow, four sons, and two daughters. Of his sons, two are in Edinburgh—one of them an advocate and the other an architect. 1894 Post Office Galashiels Selkirkshire Scotland Architect responsible is not known, but Robertson was in charge of H M Office of Works at this time. 1902 Post Office Melrose Roxburghshire Scotland Architect responsible is not known, but Robertson was in charge of H M Office of Works at this time. 1905 Post Office Airdrie Lanarkshire Scotland Alexander Buchanan Gardner cliams he worked under W M Robertson but other sources indicate that it was W W Robertson of HM Office of Works who designed this building.